Our program was founded in 1999 and grew as an extension of the Women in Engineering Program with the desire to attract more women to engineering by reaching out to younger students. We recognized that any efforts to attract women to engineering would also be beneficial for underrepresented populations and all students. We also acknowledged the need to inform the public about the true nature of engineering, to promote and support educational improvements in the way that math and science are taught in K-12 schools and to place importance on 21st century skills for all students. To educate, both directly and indirectly, the citizens of North Carolina, particularly K–12 students, about the true nature of engineering and the opportunities and careers within engineering through hands-on, inquiry- and problem- based programs and informational workshops and tools. Every student, educator and parent in North Carolina will know the definition of engineering and the impact that engineering has on everyday life. 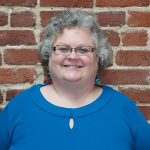 Laura Bottomley joined NC State University in fall of 1997 with the mission of creating a Women in Engineering program. She soon realized the need for and originated a K-12 Outreach program in 1999. She is responsible for the oversight of the Engineering Place and its strategic operations. She is also a frequent creative contributor to program content. She holds primary responsibility for funding operation and personnel. Laura also runs the Women in Engineering program, advises students and teaches the E 101 Introduction to Engineering and Problem-Solving class for first-year students. Laura graduated from Virginia Tech with a B.S. and M.S. in electrical engineering in 1984 and 1985 respectively. She spent two years at AT&T Bell Laboratories, before returning to school at NC State for her Ph.D. in electrical and computer engineering. She has also taught at Duke University, where she began her work in K-12 Outreach while teaching undergraduate and graduate electrical engineering courses. Since then, she has consulted with Lockheed Martin, IBM, MCNC and others before eventually originating her current position in the Office Academic Affairs in the College of Engineering at NC State. 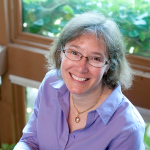 Laura is a Fellow of the IEEE, a Fellow of the American Society for Engineering Education, a faculty advisor for the Society of Women Engineers at NC State, a member of the steering committee for the National Assessment for Educational Progress (NAEP) assessment in technological literacy and a frequent guest speaker for various groups (e.g., https://www.allbusiness.com/services/business-services/4342779-1.html). She has been inducted into the YWCA Academy of Women for her work in empowering women and eliminating racism. The combined Women in Engineering and K-12 Outreach Program under her tutelage received the institutional President’s Award for Excellence in Science, Mathematics and Engineering Mentoring in 2000. In 2009 Laura received the individual President’s Award for Excellence. Also in 2009 IEEE honored her with the Educational Activities Board Informal Education Award. Some of her National Science Foundation-sponsored work with K-12 was featured on the NSF Discoveries website in 2005. Susan D’Amico earned a B.S in Industrial Engineering from NC State in 1986. She has worked in the Telecom and Contract Manufacturing Industries for over 20 years as an Industrial Engineer, Process Engineer, Manufacturing Engineer, Project Manager, Business Cost Manager, and Program Manager. In the course of her work, she has interfaced with many different types of engineers. Her professional path has made a turn towards education, and she has completed the coursework for a lateral entry teaching position. Susan now works for The Engineering Place as Coordinator of Engineering K-12 Outreach Extension. She’s responsible for the elementary and middle school engineering summer camps on the Raleigh campus. She also works with other partnering locations, such as Rocky Mount, Hickory, Havelock, and Kinston, to help provide K-12 summer educational engineering opportunities throughout the state to as many children as possible. I work for the College of Engineering Office of Academic Affairs with a variety of projects, including K-12 professional development in Engineering Education, and managing a summer Engineering RETprogram for engineering and education students and K-12 teachers. Our focus is on strengthening the thread of engineering through K-20 education. Nancy Shaw, an electrical engineer with experience in industries involving telecommunications, computer analysis and support, and K-12 Outreach, received her B.S. degree in Electrical Engineering from NC State University in 1989. As the K-12 Outreach Coordinator in the College of Engineering (COE) at NC State, she provides “Engineering on the Road” and “Engineering Bits & Bytes” STEM experiences for K-12 students across the state. In addition, Ms. Shaw teaches and advises NC State freshmen engineering students, she is the Executive Director of the NC Future City Program and serves as the COE liaison for the NC State Solar House. 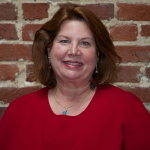 Previously, Nancy served as the North Carolina Project Lead the Way (PLTW) State Director for more than 12 years, and she participated on the development team that created the NC K-12 Engineering Standards. 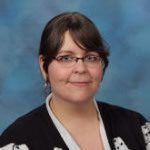 She has contributed to the curriculum content of several online STEM and engineering libraries, including the TechXcite Program for 4-H afterschool students and TeachEngineering.org, a National Science Digital Library. Nancy is an active member of the American Society for Engineering Education and the Society of Women Engineers. 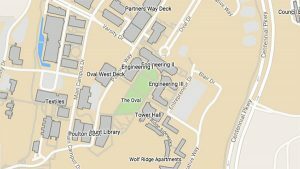 Our main facility is located on the North Campus of NC State University in Daniels Hall. We have multiple spaces that can be used for classroom-style activities and lab exploration, as well as resource rooms for equipment and materials. Through the College’s distance education programs, we collaborate with partners in Rocky Mount at the Gateway Technology Center, Hickory at the NC Center for Engineering Technology and Havelock at Craven Community College and Kinston at Lenoir County Community College. Outreach Ambassadors – We employ a number of undergraduate engineering students who support our outreach efforts throughout the community at events both on and off campus. These students receive training in working with K-12 students and lead activities for both large and small groups. Students work on average 10 to 20 hours per month throughout the fall and spring semesters. 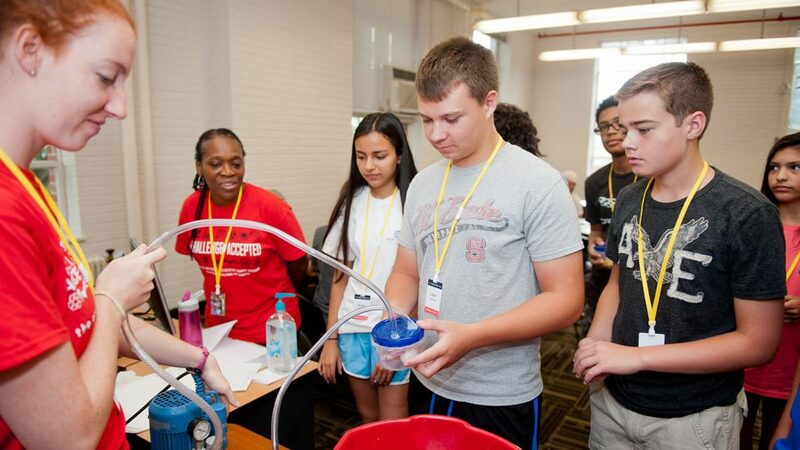 Summer Programs Staff – Each spring, the College hires undergraduate engineering students, as well as high school students, to support summer programs in June and July. Students work between one and four weeks with the program and serve as team leaders for week-long activities, residence counselors and departmental assistants. Visit our employment page or contact us at coe-theengineeringplace@ncsu.edu for more information about any of these opportunities.